The history of Cubic Colors is rooted in 1996. 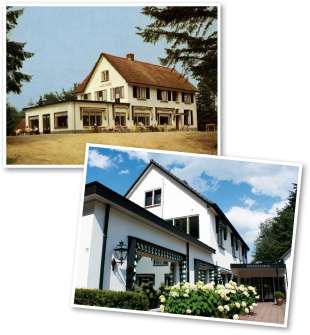 From that year on, the Ten Hulscher company imports and distributes exclusive building hardware to dealers everywhere in the Netherlands. The company grows fast. In 1999, they develop their interactive Flexible Sales System and their own line in building hardware. As a result of the rise of the internet, Ten Hulscher records several business-related domains on the internet. These websites are being filled with information about Ten Hulscher products. When the company moves to former family hotel ‘Anastasius’, the growth spurt of the company is ‘for real’. After a thorough renovation, Ten Hulscher, its private label GPF bouwbeslag and marketing agency ARVI product are ready for the future. In 2009 the domain deurbeslag.nl is converted to an online shop. This start means the kick-off of successful online sales and a unique collaboration with the dealers of Ten Hulscher. After a while, Cubic Colors is established to be an umbrella organisation for several Dutch, online shops. The company continues to grow, innovate and improve. We do everything we can for the best service and quality products for you! After the success of Cubic Colors in the Netherlands, the company looks across national borders. That’s why we have an online shop in Belgium, Germany and an international version in English as well. This way, you can easily read information about products and for example delivery charge and times.